Track Shack - January: Why did you start running? Be the Customer of the Month! Running for charity, for a friend, one of the big marathon races, your first 5k ever, your first medal ever…your medals have meaning. Show us your favorite medal. Lauren Albig was selected as the December Adidas Customer of the Month. 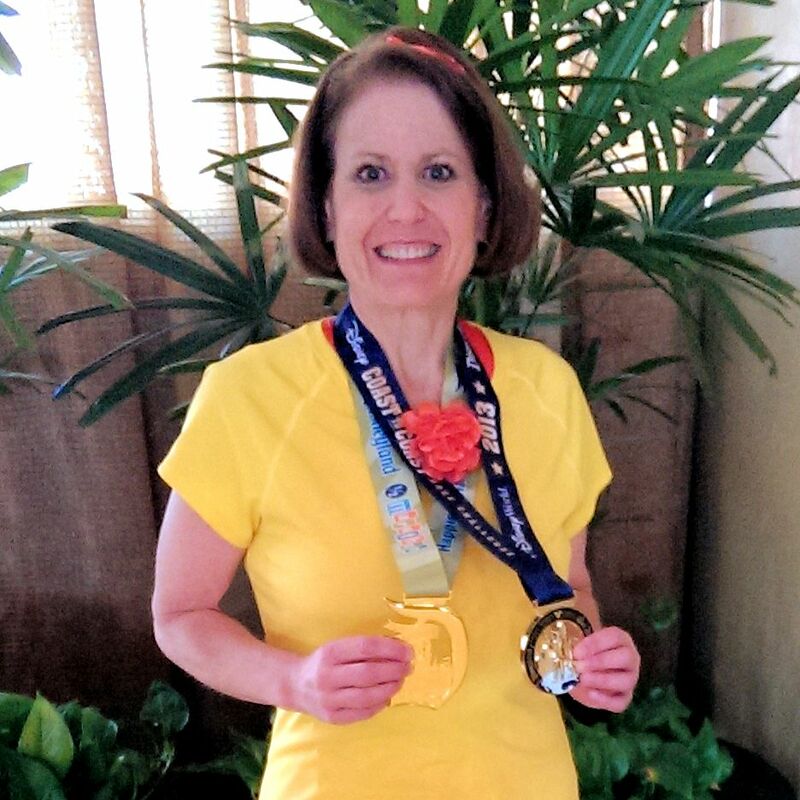 Her medal is from the 2013 Napa to Sonoma Wine Country Half Marathon that she completed with Team Challenge Central Florida. Running for a Cause! I started running so I could forget the pain. My mother died very suddenly from acute myelogenous leukemia, just seventy-one days after diagnosis. Her death motivated me to pay attention to my own health, as tribute to her, by losing one hundred and sixty excess pounds, all through good nutrition. Several years passed and I could not shake the veil of grief. A friend recommended I check out the Leukemia & Lymphoma Society Team in Training program. I had never run a step in my life. 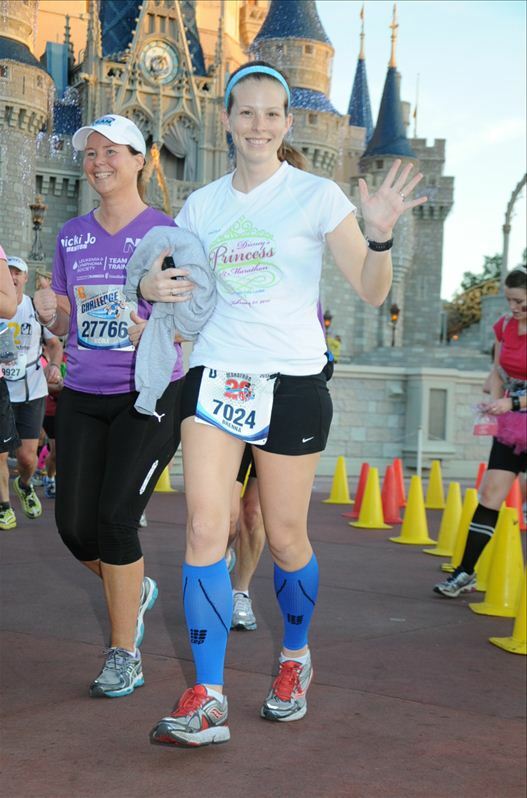 I joined up and ran the Disney Royal Family 5k during Princess Weekend. I was hooked on racing. Since then (twenty months ago), I have completed seven 5k's, one 10k, one 15k, one 10-miler, fourteen half marathons, and two full marathons. (I have also been sagged from two additional races, both WDW, for being too slow to overcome an injury or illness-related delay.) Now I run for different charities as often as possible but at least three major fundraising campaigns per year. Right now I am fundraising for Team SBH. If I win this contest, I will ask that the shoes be donated to a Team SBH athlete who needs them more than I do. 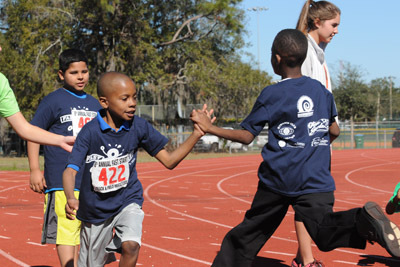 (Team SBH is comprised of youth athletes who raise funds for their small community. I do one event per year for them.) 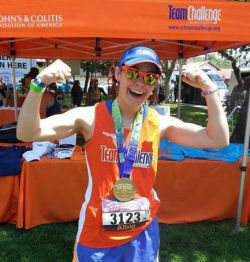 Running, especially charity running, has given me something to life for. After my mother died, there was no color in my world. I just went through the motions of living. Running for those who cannot run for themselves painted my world with vibrant colors again, the way my mother would want it. The people for whom I raise money do not care that I am not the fastest runner. They cheer for me because I am out there, no matter how hot and humid, running my chubby little legs off. They cheer for me because of who I am, not in spite of who I am. I run lots of non-charity events too, where I find it surprisingly easy to make new friends. Runners are such accepting people! They welcome you to their clubhouse, no matter what your skill level, if you are willing to learn and try your best. I started running so I could forget the pain. Now I run to remember the happy. When I was 18, I was involved in a car accident that probably should have taken my life. I spent 13 days in the ICU and, at one point, was told that I may never walk again. Two back surgeries and 6 months later, my back and spine specialist released me from his care with no restrictions. In that 6 months, I had gone through a lot of physical therapy and had been told I would struggle to do physically demanding activities for the rest of my life. Being released with no restrictions made me feel better, but I didn't quite believe it...you know? Too good to be true? It took me a few years to really start pushing myself, but when I decided to start running, it was an extremely rewarding experience and I couldn't stop. My husband continually pushed me to work harder. I ran my first half marathon last year in a time of 2:02. Those two minutes drove me crazy! I signed up for the OUC half marathon this year and finished sub 2 hours with a time of 1:58, crossing the finish line with my husband by my side. 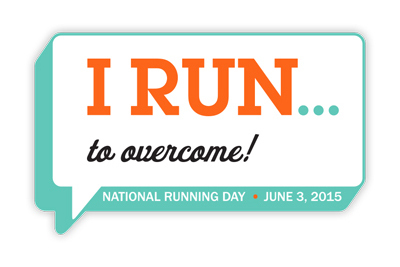 Running has allowed me to gain confidence in myself and overcome fears of not being physically able to complete tasks. My specialist gave me back my normal life..and when I'm running it, I can challenge myself each day while staying healthy and showing all those who said I wouldn't..that I can! I started running because my girlfriend told me to! Partially, I also made a New Years Resolution (this year) to be healthier and lose weight. Training for my first 5k in February and then my second and my first 8k and 10k and finally the Wind & Dine Half has helped me lose about 40 pounds and I feel great! 25 months ago to the day I went under the knife and changed my life forever with a Vertical Gastric Sleeve. 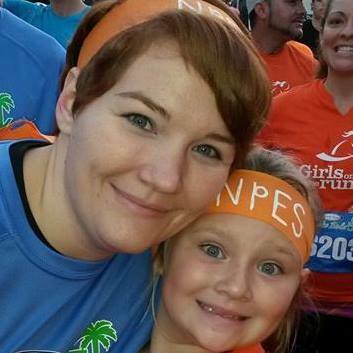 Weight loss surgery had been the best decision of my life; up until a few months ago when my 8 year old daughter asked me to be her Running Buddy for Girls on the Run. I've never been a runner; however, now a 165 pounds lighter I thought surely I can manage a 5K. I trained a little here and there, and when the practice 5K rolled around it was obvious I wasn't ready....boy was that a painful recovery. I changed my game plan right then and there! Up every morning before work to exercise, then a 2 mile walk/job at least 3 evenings a week. After the first week I was addicted. Never in my life could I expect I'd actually ENJOY running! Now that Girls on the Run is over for the year it's time to set a new goal. This next year will be dedicated to training for a half marathon in December of 2014. 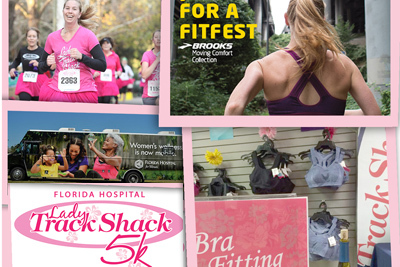 I expect to being doing the Lake Eola 5K with my daughter again, but I will find another venue for my marathon maiden voyage. Look out world....Here I Come!!! I started running when I was about 11. My mom challenged me to a race around the block, I cheated and beat her. I was overweight and I think she was trying to help me get in shape. I ran my first marathon at 14 in 3:14:37 at the Marine Corp Marathon. I have been running pretty much every since. I really wanted to do a 5k before my 40th bday...........just a goal I had always wanted to accomplish. I started training and got hooked. I had already started a healthy eating lifestyle and with adding running it was a win/win. I have lost 80lbs so far. Wanting to run one 5k has turned into 7 races so far. It will be one year ago this Saturday December 7th, but I promised to helped the Girls on the Run and be a running buddy. Why? I am not sure. I had never run a day before in my life. Race day came and my buddy did not show up. I ended up running with our coaches 6 year old daughter. I was not sure how I would survive, but I pushed on. She was such a great runner, so polite and motivasting me all the way. She would get behind me and push me, as I needed the help. We ran and walked but in the end, we finished. Our time did not matter. We felt so good and it was so fun. I complimented her on her accomplishment and she paid the complimnet back. She even added that I should run more often. It felt very rewarding, so I found my husband, who was bored from sitting on the side lines. He said, "I do not know why I did not run with you". I said, "Then maybe we should do one together." We went home and signed up for the Disney Royal Family 5K and the Kissimmee 5K. We trained for the first race was a month and a half away. 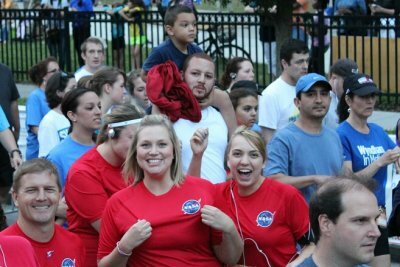 After completing them both, we were so excited by the feeling, that we found a program to run a half-marathon. 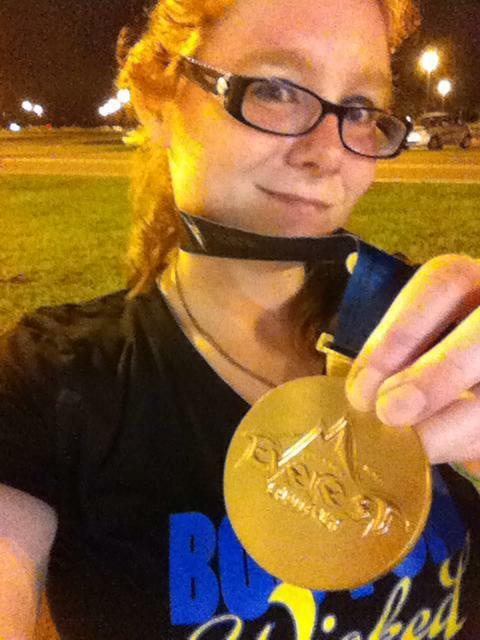 My first offical was the Space Coast 2013. My husband's will by OUC 2013. 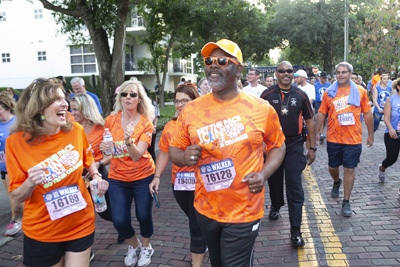 I will again be running the OUC 5K this year with my running buddy from Girls on the Run. It is funny how a 6 year old can change your perspective on the sport and a year can change how well you are at it. I tell everyone our story when they ask "Why?'. It all started with a 6 year old! Before I went into bar prep, one of my close friends stressed the importance of exercising to me. Jerry told me about someone who didn't move during the majority of bar prep. The guy apparently went to stand one day and blew out his back. Now, I knew that you can't believe every story you hear about bar prep but that particular story put the fear of God into me. From having worked on Medicare appeals I knew that long periods of inactivity COULD lead to any multitude of medical issues like blood clots, atrophied muscles, etc. I vowed to exercise which is a feat for a cupcake addict like me. Jerry made a point to say that just movement every so often was adequate. 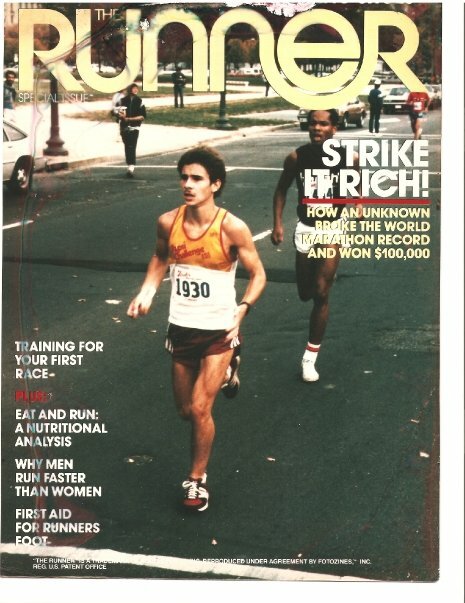 Essentially, I didn't need to become a sub-six runner or a freaky looking body builder. I didn't care; I wanted to make sure I would be OK. Pre-bar prep I decided to sign myself up for my first 5K ever. I didn't care that it was scheduled to take place 3 days before the bar. Nothing motivates me to do something more than when I spend money on something. And that 5K cost me money. I wasn't going to mess up. Bar prep began and suddenly I realized how all consuming it was. Exercise didn't seem possible, let alone other things like brushing my hair or wearing a bra. Two weeks into bar prep, someone in one of the other programs broke his ankle. His leg fell asleep from sitting so long that when he stood his ankle rolled. Talk about a wake up call. Long story short, I did manage to complete the 5K, although I hurt like hell for two days. And through everything I lost a ton of weight while also learning that running has helped me deal with my stress and anxiety. I also have become a race addict. The OUC Half Marathon will be my second half marathon. And to think I only started running ten months ago. I run because it makes me feel like me. I never thought I would be a runner. I had lost 60 pounds and finally felt that I could add exercise to my routine. I found a group of walkers/runners and I started walking. I walked with the group for about a year and then thought I would try running. It was hard, but I kept trying. That was 5 years ago. Since then I have completed 9 half marathons, 1 15K, 3 10K and several 5Ks. I currently am recovering from a stress fracture and really miss the running - looking forward to getting back on my feet in 2014!!! Due to a very physical job that injured my shoulders and elbows I had to quit going to the gym and working out with weights. I went into a kind of depression. I started running two years ago at the age of 44. I could barely run a mile and I hurt all over. This October, I finished my first half marathon in 2:15:43 Running has opened up a whole new world to me and I couldn't be happier.